1) Is the person clear about the vision of your church? 2) Is the person wanting to make a contribution? Imagine that you could answer these questions with a yes or no. If so, you can locate everyone on the “key” below. The are key questions that arise from this simple classification. Remember good shepherds know their sheep and know how to guide each one based on their unique needs. 1) Do you really know your crew? 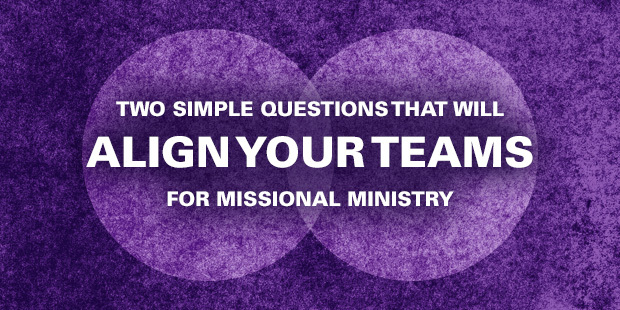 I am surprised at how many churches don’t have a clear view of their team. I will share how Mac Lake and I help churches develop a clear “team portrait” during our leadership pipeline coaching intensives. 2) How do you invite stowaways to become passengers? Many pastors are far enough removed from the mindset of the insecure unchurched person that they can miss some basic steps and skills to help others see and appreciate the mission of the church. 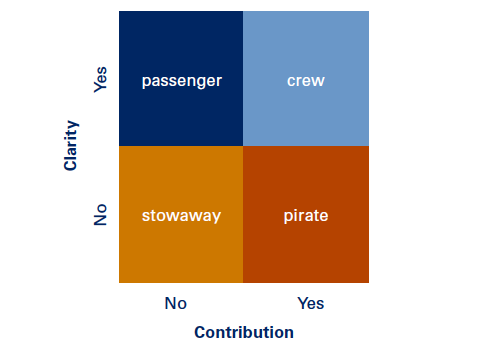 3) How do you recruit passengers to be crew? There are six “recruiting windows” that a leader must look through int he process of developments. In this post I will unpack I tool that I have used for years but have never published. 4) How do you either convert pirates to crew of get them off the ship? This question is a biggie, and requires a separate post to provide a few thoughts. But, there is a way to do this with the wisdom and grace of a master-shepherd. As a preparation for the rest of the series, I would encourage you to write down a few people you know in each part of the grid. Also, if you had to make a stab at the overall percentages in your congregation, what would you say? Go ahead and draw a grid with actual percentages in it. By the way, the visual above is taken from the Church Unique Visual Summary. Download it for free by clicking here. Read more from Will here. Will Mancini wants you and your ministry to experience the benefits of stunning, God-given clarity. As a pastor turned vision coach, Will has worked with an unprecedented variety of churches from growing megachurches and missional communities, to mainline revitalization and church plants. He is the founder of Auxano, creator of VisionRoom.com and the author of God Dreams and Church Unique. What if “Real Church Growth” Became the New Normal in the North American Church? Do You Recognize Your Generic Vision? 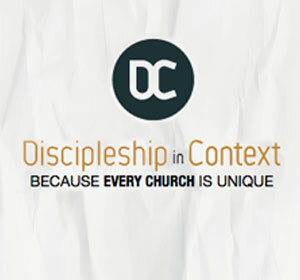 Would You Recognize Inward Drift in Your Church?